Thank you so much for stopping by! In today’s article, we are going to speak about my favorite color — grey. 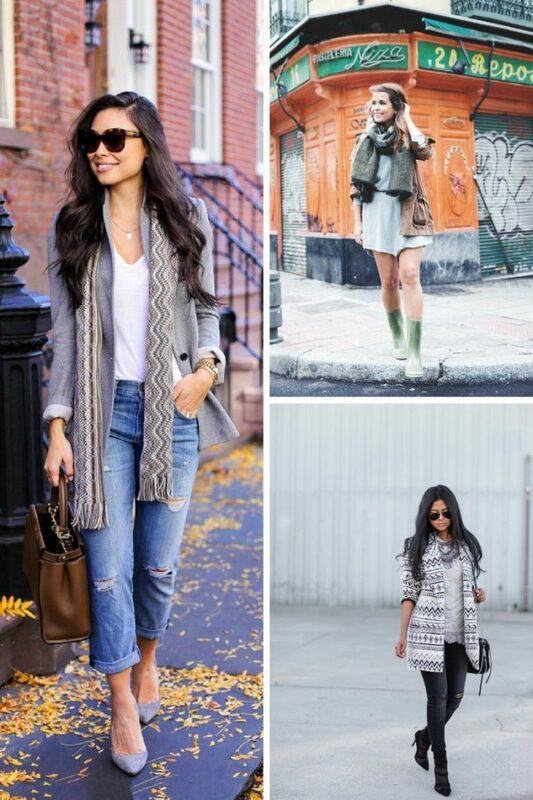 You are about to see fabulous style ideas on how to wear an all gray outfits to work. I hope this compilation will inspire you to go into your closet and find many beautiful items to use with grey clothing during this year. Before we move on, I want to say a couple of things about grey color itself. Most people say it’s a boring hue, but I consider it to be an ideal capacitor for making a special accent on details and components of your look. Be careful in choosing a gray color. It comes in various hue shades, where dark gray makes you look older, strict and severe, so you better choose light grays, if you want to look younger. I do love this hue, it’s the one neutral that can be worn by everyone. Anyway, I think we should move forward and see the best grey looks to wear in the office. Maybe this color is not your best friend, but in the end, it does creates a good outfit. For instance: crispy white shirt underneath grey pantsuit or skirt suit can be upgraded by a statement green necklace, or you can add purple/pink handbag and pumps so you don’t look boring. The gray color is one of this year’s trends. In other words, it’s a softer alternative to black and is actually easier to wear for women over 30 and 40. As I have already mentioned it’s incredibly versatile color that can be worn in different ways. It looks ideal with soft pastels (baby blue, blush, and pale turquoise), is great to combine with white and bright neon shades. It can be used as the starting base. Grey and pink create a soft romantic, but still classic look, for instance, you can go for a light pink knitted sweater and pair it with a lovely grey pencil skirt or tailored, pleated grey pants. I know many friends who love combining grey with dark green. This combo creates a more sophisticated and mysterious look. The classic must-have so far is the grey and crispy white pairing. Don’t be afraid of playing with different shades of gray. 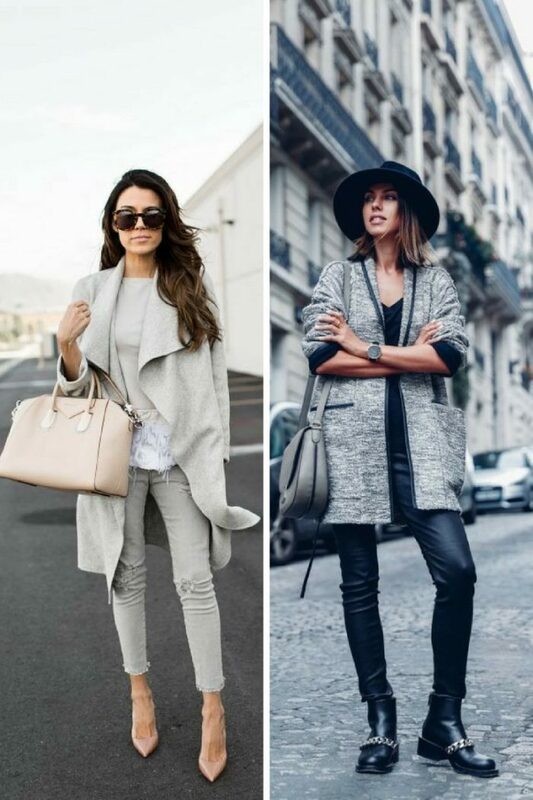 Do You have any thoughts about Grey Clothes For Work Professional Trends? 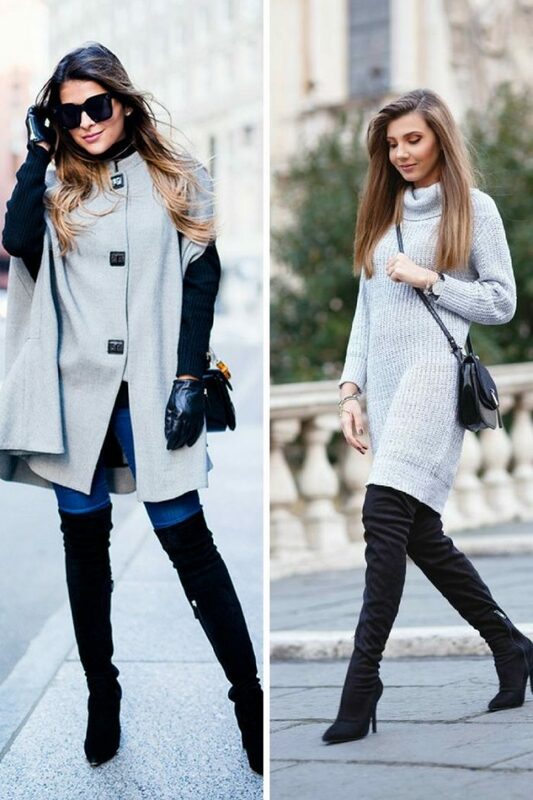 Here are Fashion Tips pictures and trendy women’s outfits which are in style in 2019: Grey Clothes, Must Have Fashion Trends For Women, Office Apparel, Professional Clothing and tips on how to wear them on the streets.